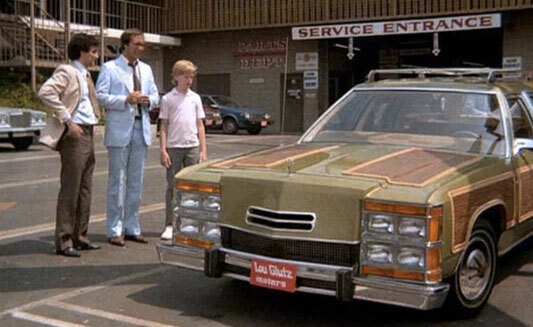 Thirty years ago today, National Lampoon’s Vacation starring Chevy Chase was released in theaters and the world got to go on a cross-country road trip with the Griswold family as they drove their hideous metallic pea Wagon Queen Family Truckster (you think you hate it now, wait til you drive it) from their home in Chicago to the Walley World theme park in Los Angeles. As we know, things didn’t exactly go smoothly, but the Griswolds had love and they had each other. In honor of National Lampoon’s Vacation 30th anniversary, a real-life Griswold family – Steve and Lisa Griswold and their two daughters, Lisa and Brook – took a journey in their own custom-made Wagon Queen Family Truckster, driving from their home in Canton, Georgia, to Walt Disney World Resort in Florida. 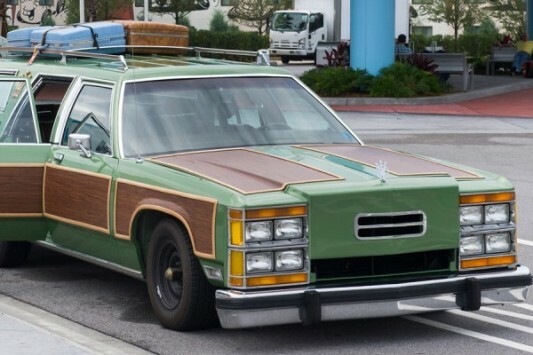 Their Truckster matches the one seen in the film, complete with the blue and brown luggage on the roof rack! Check out the photos of the car as well as video with the family here below. 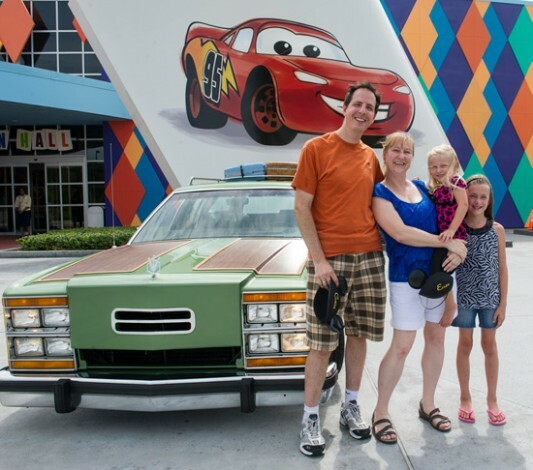 It looks like, thankfully, the family made it all the way to Disney World without anyone graffitiing “Honky Lips” on the side of the car, although you can see their hubcaps are missing, which is hilarious. Visit Disney Parks Blog for more photos of this custom-made Wagon Queen Family Truckster. National Lampoon’s Vacation (one of my favorite movies of all time) is currently out on a 30th Anniversary Blu-ray Edition.